Cubby House Crafts: Crochet...a little more crochet and a little stitching! Crochet...a little more crochet and a little stitching! It seems the crochet bug has bitten hard, with a little crochet bunny for my daughter for Easter and crocheting a chevron cushion. 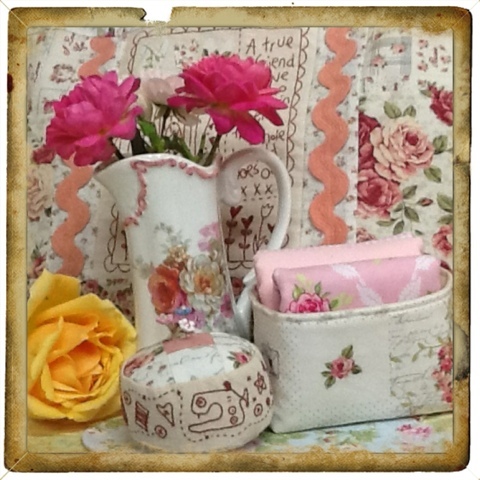 I am very eager to start another crochet cushion! Still posting and taking photos with my iPad, and haven't worked out how to add text under the photos. 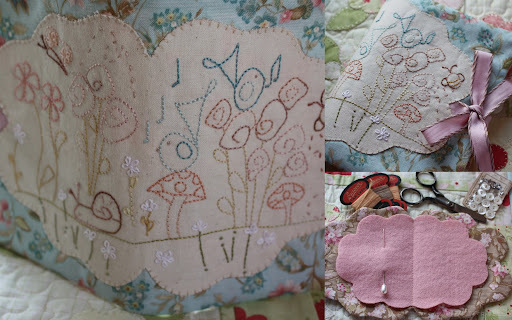 I forgot to mention my little pincushion (in bottom photo) which is the March project with the stitch a long group...such a cute little project and another lovely Anni Downs design. Oh wow....the back of your cushion could be the front......just beautiful. A beautiful finish on the back of your cushion. 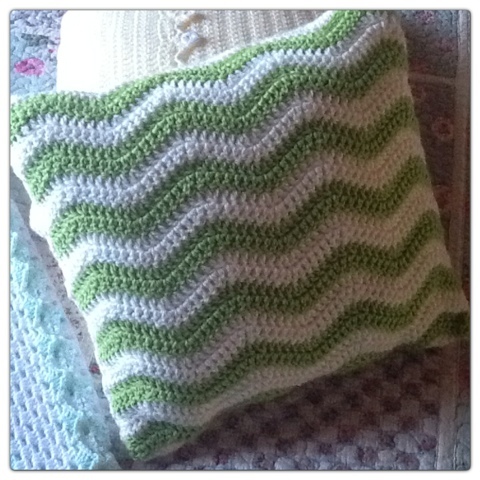 I am still crocheting my cushion come blanket!! Only a few more rounds left now!! 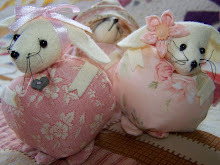 Just had to tell you I made one of these gorgeous bunnies too...aren't they such fun?!! Wow, the cushions look beautiful. 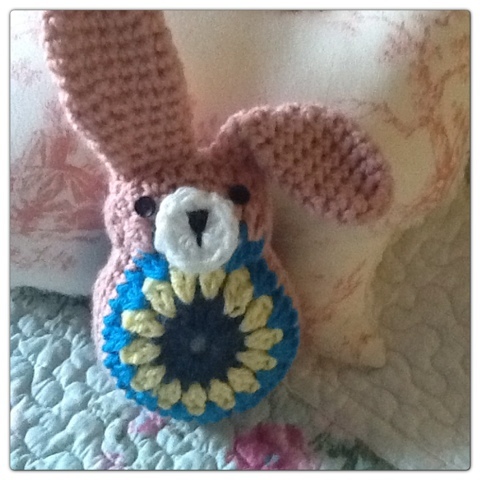 Love the bunny and the Anni Downs pin cushion. I have been using Blogsy on my iPad. 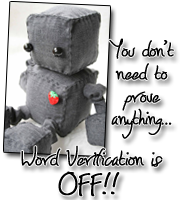 It is fairly simple to use and does what I need. 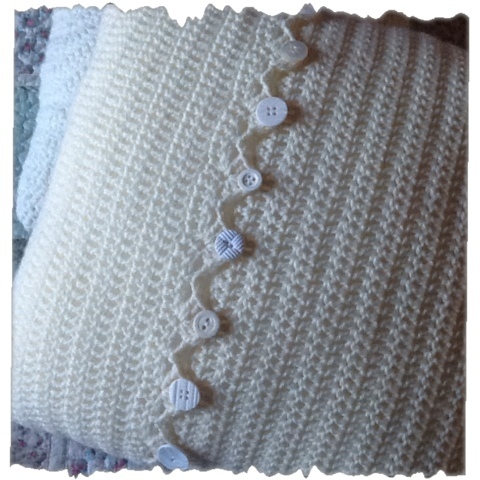 Such gorgeous crocheting, love the back of your cushion. The bunny is so cute, love it! !